Johny Bastienne was born on the 26th March 1974 and emigrated to Switzerland with his mother at the age of 7 years old. He is married and has four children. Johny studied in Switzerland and France during his primary and high school age. He then moved to the United Kingdom in 1994 where he continued his studies in A levels in Math and French. Mr Bastienne holds a Bachelor in Law and Legal Practice from the University of London. In July 2000, he returned to Switzerland and started working as an In House Legal Adviser from October 2000, for Mediterranean Shipping Company. After one year, Johny was promoted to the position of Legal Manager for the regions covering the Middle East and Australia. In October 2005, he was contracted by the State of Geneva, Protocol Office to assist them with the legal registration of Non-Governmental Organisations. In February 2007, joined the Association of International Collective Management of Audiovisual Works (AGICOA) in Geneva, as a Legal Adviser in the field of Copyright and related rights in collaboration with the World Intellectual Property Organisation, the Motion Picture Association of America, the European Broadcasting Union and VG Media which is the German Society for the Exploitation of Copyright and Intellectual Property Right of Media Companies. 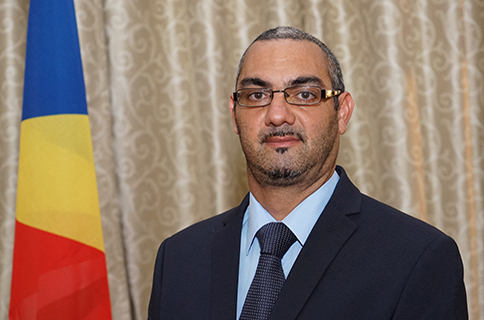 After returning to Seychelles in August 2013, Mr. Bastienne worked as Senior Legal Officer at the Development Bank of Seychelles which he started in April 2014. In April 2017, Mr Johny Bastienne was appointed Deputy Cabinet Secretary for Institutional Affairs, to the Cabinet.